Please email Rabbi Mendy Gurkov to see if there are Friday night Services and times. Twice a month, 10:00am, followed by Kiddush lunch. 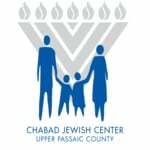 To sponsor a Kiddush in honor of a special occasion or in memory of a loved one, please contact the center at 201-696-7609. If you need a Minyan to say Kaddish for a Yartzeit, please contact Rabbi Mendy Gurkov and he will be happy to make special arrangements.